The last show of the week that I was able to go to was the Raquel Allegra SS16 Presentation. This presentation was located at the Industria Superstudios again, but this time in a more spacious studio. Although it was Raquel Allegra‘s first NYFW show, she presented with the quality of a seasoned-designer. 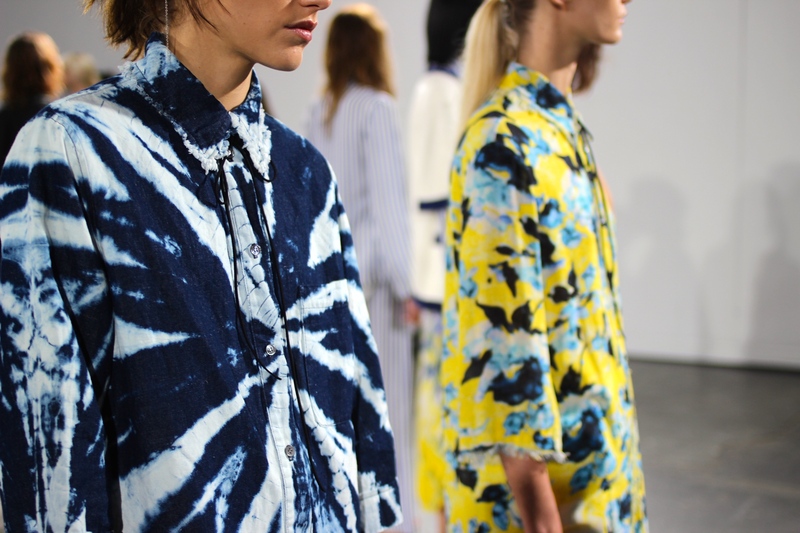 Her pieces for SS16 carried a vintage theme with splashes of tie-dye prints. Almost every outfit composed of deconstructed layers and fabrics of silk and linen. The models were circled around an original-designed mandala by Briana Sophia Young, which centered the studio, and the colors of the mandala blended perfectly with the SS16 line. The bright tie-dye hues made the room feel alive and added energy to the crowd. Of attendance was actress Marisa Tomei. 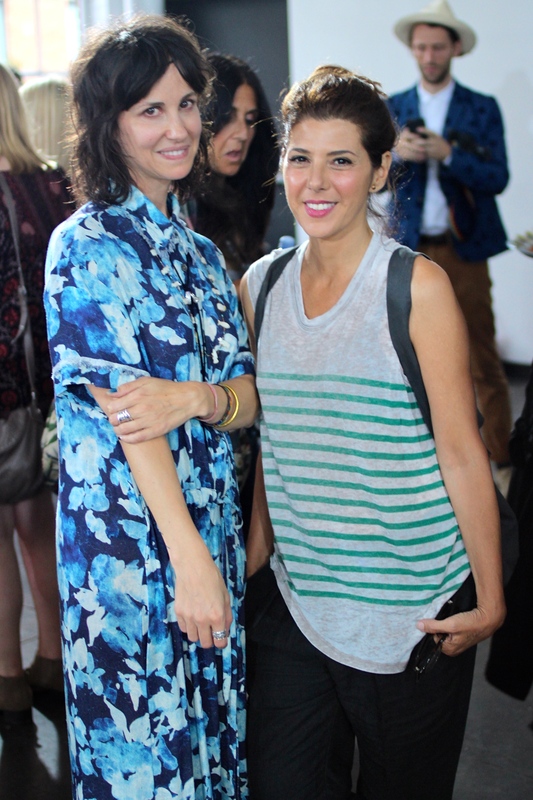 I was able to snap a picture of her with the star of the show, designer Raquel Allegra. Below are some pictures of the presentation! Click an image to see images in a slideshow. That wraps up my NYFW recap series! I look forward to next year’s NYFW next year. Most importantly, I look forward to NYFW: Men’s coming up in January! I hope you enjoyed the recap series! Tags: Fashion, Fashion Blogger, Fashion Week, New York, New York Fashion Week, NYC, NYFW, Presentation, Raquel Allegra, SS16, Tie-Dye, TieDye, Womens Clothing, Womens Fashion, Womens Style. Bookmark the permalink.